The Lavallette family who has pledged to fund the construction of new basketball courts in town, in honor of their son who passed away last year, found support among their neighbors Monday night, who pushed the borough council to allow the courts to be built over the opposition of a few residents with complaints over their size and layout. Dave and Nancy Daly, of Reese Avenue, have said they will pay for a new basketball facility in town in honor of their late son, George. George Daly, 20, died while away at college in 2015, according to a tribute article in the University of Pittsburgh’s student newspaper. An “avid” sports fan, George enjoyed playing baseball and basketball, the article said. While borough officials have public thanked the Daly family for their generosity, the borough’s Beautification Committee has raised concerns about the size of the courts – favoring one court, instead of two – and saying the facility should include more walkways and benches. The two courts are replacing the two courts that are in the borough’s current basketball facility, which is rarely used due to its location and deteriorated condition. The borough council has said the new basketball courts will be built at the location of the old roller hockey rink, behind the tennis courts. Dave Daly said he has worked with the town and agreed to expand the project, pledging over $160,000 toward it. He said Monday that he has also worked on the borough’s request on signage honoring his son, coming up with a three-foot by five-foot sign that “fits the character” of the neighborhood. On Monday night, residents lined up at a borough council meeting to praise the Daly family, speaking highly of George and asking the borough to approve the project. Ed Connelly said he recalled George helping him and other neighbors after Superstorm Sandy struck. He prodded officials to approve the basketball courts. “This town is better than that,” he said, apparently referring to aesthetics holding up the project. Pat Marone, representing the Beautification Committee, said her group is not against the project, but would like to see some modifications. Councilman Robert Lamb said the size of the new facility is actually smaller than the previous one, which means less ground would be paved over. The nearby volleyball courts would have a sand surface. No vote was taken on the project Monday night. It is expected that the new courts will be discussed at the council’s next meeting, Oct. 17. 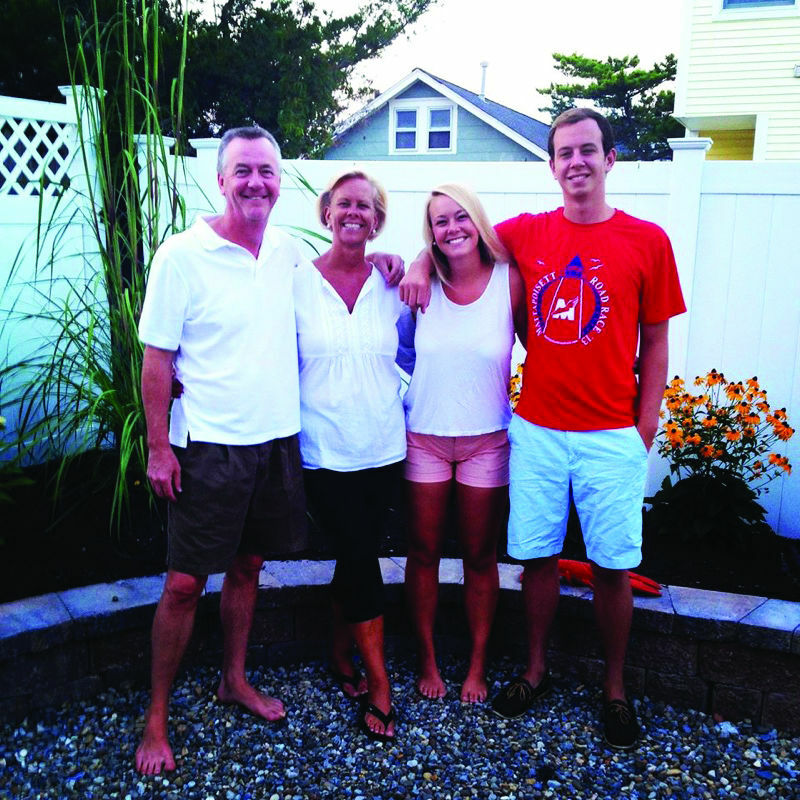 Borough Administrator John O. Bennett said the Daly family has been working with a North Jersey company, Halecon Inc., of Bridgewater, to design a court for Lavallette that they hope will be under construction this fall. Halecon, Bennett said, builds custom courts with the latest surfacing technology. The borough’s attorneys are still investigating how to proceed with the donation, and to determine whether the project would fall under New Jersey’s “prevailing wage” law, which raises the cost of construction of public projects since union-level wages must be paid regardless of whether a union firm is completing the work.